Asian Paints recently opened their Signature Store in Mumbai. NDTV Hot property featured the colorful store as part of the show’s last segment. The design of the store, patterns, texture, and an impressive product line-up left me awestruck. Though my experience with Asian Paints Home Solutions (for painting) has not been great in the past, I logged on to the site to see what they have to offer this time. I must say, it looks neat. The entire site is worth browsing. Yea, add it to your list of time-wasters :) Going by what they claim, it does sound like kids will finally have the freedom to get creative on the walls (or do they call scribbling?). Get Creative on the walls. Moms can scream no more! The colourwash effect under special effects, in particular, looks cool. Ikea-like Wooden Baskets for Storage in India? This Glam Wall Painting Trend Is Making a Comeback and I Can’t Wait to Try. I’m loving this site! The chalk finish looks cool, but I wonder how I’d react if my child actually wrote on it? Plus it might encourage her to write on all walls! 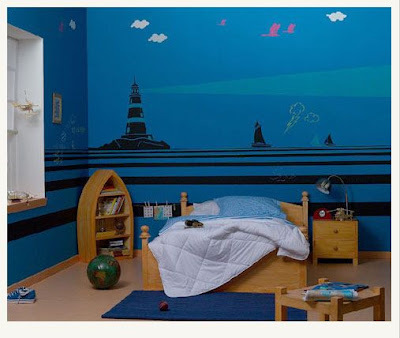 Does Asian Paints also undertake to paint your walls in such designs? Or is it more of a DIY? How does it work? I’m sure they do. Check out their “Home Solutions” section. They run frequent ads in most national dailies. But honestly, I wouldn’t recommend getting it done from them. An individual contractor will do a better job at a much lesser price. Use ideas/products from Asian Paints but execute it through someone else. 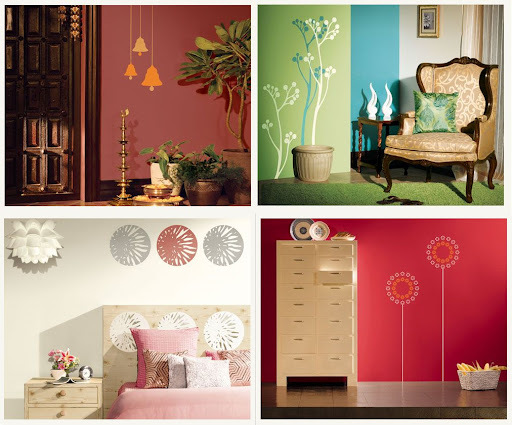 We used asian paints Home solutions for painting some walls in our house. They do a very good job. We got the spatula effect for our Master Bedroom with the green/gold hues and it looks perfect. We also got the bus design for the chalkboard. My son is crazy about it. There was one more wall that we got done with some special design(just choice of color and their usual template). Could you please tell me approximately how much it cost you per square foot ? I do not remember the per sqft price. I got it done by the following guys. You can contact them for accurate information. we need some pictures to see the colour combination of walls,and even textures can u plz send it……….fastly…. can we also make d same design on walls by using ur paint tools or we have to take some training. I m an Interior designer and color consultant.wat kind of help i can get from asian paints to become an authorised color consultant of ur company. Can I get your help on painting my apartment? You could choose a color first and then a pattern that goes with it. If you are going for a dark color, then suggest paint one wall with it like a purple or turquoise. The other walls can be a lighter shade or white. Dear Naveen, to help you in making colour choices for your bedroom and for other helpful inputs on the overall painting process,you can go through the Asian Paints Happy Painting Guide at http://bit.ly/mUL0AM where you can mix and match shades as well as save and share your customised guide. hi, i am planning to paint my bathroom (including shower walls) rather than using tiles. this is because i get bored of seeing the same colors every couple of years. im planning to use asian paints royale play to paint the walls. the floor however will be tiled. is this recommended ? if it lasts for 2-3 years..i really dont care ..however if it would peel off in 4-6 months …i wouldnt do it. Wouldn’t recommend for Indian bathrooms unless yours is always dry. Tiles are a better option. Or you can demarcate wet and dry areas clearly and paint the dry area. It wouldn’t chip off. Gr8 DIY ideas! These ideas will surely make the room lively.